Get a piece of this billion dollar industry by starting your own mobile spray tanning business. Spray tanning can be the door to freedom from your 9-5 job to a lucrative career. Your clients can be friends, family or neighbors, which can lead to tanning famous celebrities and athletes (they all do it). If you are just looking to make some extra money, mobile spray tanning can be great source of income in your free time. 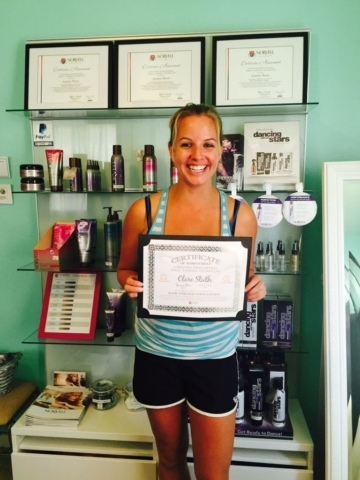 Summer Sheen offers the most in-depth spray tan training program in San Diego, California. The program is run personally by the owner Joanna Sheen. The course was created by Norvell University and is designed to get you working in the field quickly. What can Spray Tan Certification Do for you? This is by far the most popular route many of our spray tan technicians choose after they complete their course. In fact, mobile spray tanning is the fastest growing market within the handheld spray tanning industry. By offering your clients the convenience of traveling directly to their door you can save them the “trip” and can charge a higher premium. Most spray technicians start out with friends, family and quickly increase their customer base through spray tan parties, corporate events, wedding expos and referrals. It’s easy to get started since you don’t have the any overhead including rent or utilities. A small investment into equipment and training now and you’ll be on your way to starting a new career. If you already own a tanning spa, beauty salon, health club or day spa you can commission a spray tan technician to take your services mobile. By expanding your marketing area and providing a sunless tanning service, you will reach new customers. The mobile spray tan industry is huge for wedding and formal expos, fairs, recitals, gatherings and body building events. This can also be a great way to showcase your current services and products. If your customers can’t come to you then go to them. Traditional tanning salons in San Diego, California are switching from UV tanning beds to spray tanning at a growing pace. The reason behind the switch is that spray tanning provides faster, safer and better overall results when compared to tanning beds. If you own a tanning salon, spray tanning is an affordable option that will open your business up to a whole new type of client. Certified spray tanning technicians can fulfill these positions or rent space from a salon owner. Spa and sunless tanning go together like cookies and milk. Offering customers spray tanning can offer peace and relaxation, knowing that your body is not being subjected to harsh UV light. Using only the best performing sunless solutions on the market can make for a truly amazing experience. When people visit a spa they want to look and feel their very best. By offering clients a natural alternative to UV tanning will help generate additional revenue for your business. If you’re already doing makeup and hair, spray tanning can be an easy up sale. Sunless Spray Tanning has become the single fastest growing sector in the beauty industry. People that visit a cosmetologist want to look their absolute best, and what’s better than the perfect tan? You can also strengthen your business through skin/tan care product sales. Beauty salons are also a great place to offer spray tanning as an additional service. This will ensure your customers look their absolute best when they leave. It’s not uncommon to see a tanning bed at a health or fitness club. The reason is club members often desire that finishing touch to their sculpted physical appearance. Sunless spray tanning is a great way to keep members at your health club and attract new customers. Studies have shown that spray tanning services can add up to an addition 30 percent of revenue when added to an existing gym membership. You can further extend sales through sunless care and maintenance products. Having the right tan for a competition where judges base you on your physical appearance can be the difference from winning or losing. Spray tanning can enhance your client’s features and hide blemishes to give them the edge over their competitors. San Diego is full of different types of competitive events including bodybuilding, modeling, fitness, bikini and more. These contests require perfection where normal tanning methods just won’t cut it. 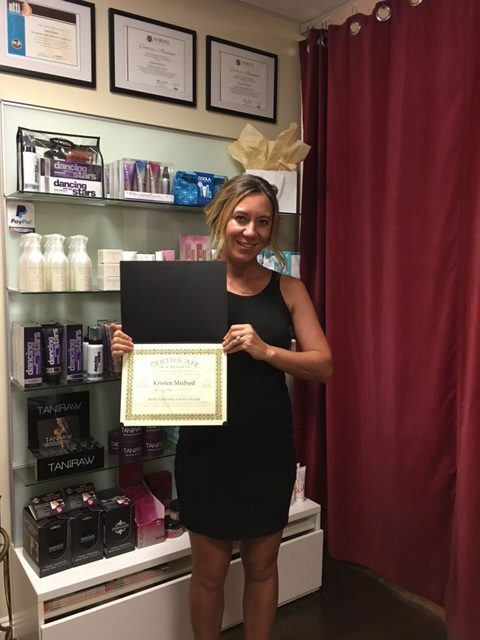 Becoming a certified spray tan technician means you can perform spray tanning right at the event. These events often have hundreds of competitors in different classes. Attending one competition can often add up to month’s salary in just one day! Doesn’t everybody want to look their best on that big day! Many times it’s not just the bride getting treated to a spray tan, but the whole wedding party. It’s important that everyone is corresponding with one another for perfect pictures and lasting memories. Sometimes this even means the groom will be getting a sunless tan. Weddings are not the only life event that requires a perfect tan in groups. 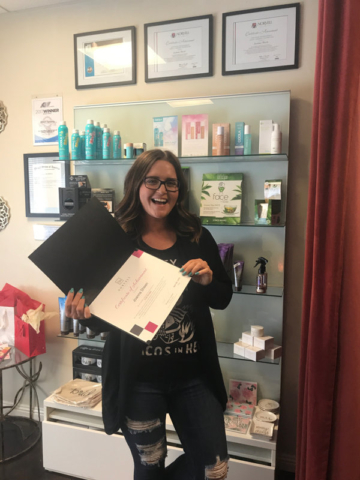 Maybe it's for the bachelorette party, girl’s night out, or “just because”, hosting a spray tanning party can be exciting and rewarding. You can further entice larger groups of people by offering discounts and other promotions. So many positive things to say about Summer Sheen! I inquired about her course on how to spray tan and how to start your own business. Joanna is very knowledgeable and patient! The training was a one day course but let me tell you...Joanna covers everything you need to know and how to get started on your own small business! During the second half of the training, she has you spray tan different models, which is very helpful! (Models are provided by her). She also has the models give you feedback. Like I said, she is patient, so anything that I needed more help/focus on she went over it to make sure I understood everything. 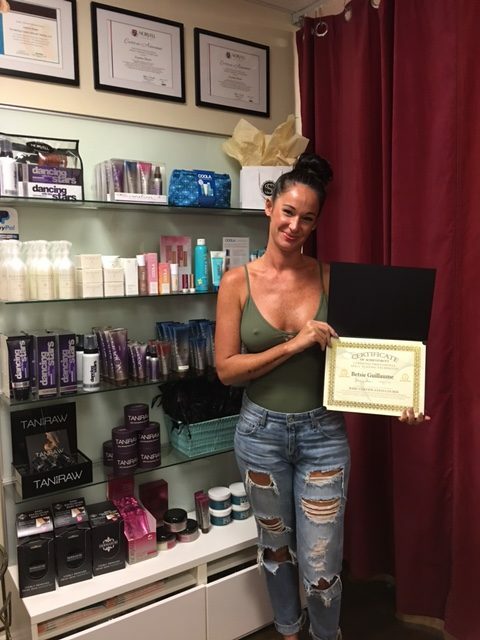 Overall it was a great class to make me confident in spray tanning. The class is soo much fun too! Can't go wrong if you learn from Joanna! I really want to thank Joanna for taking so much time yesterday to train me. 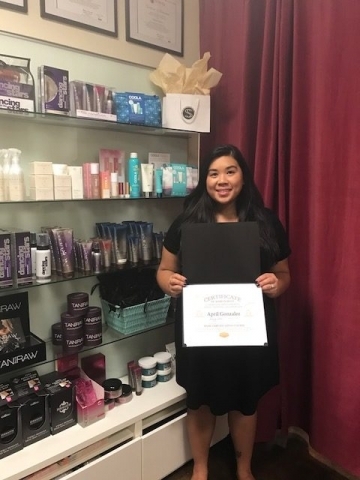 Even though I have been doing it for over a year, she to gave me so much information that I have been needing to get my business up and running at top notch! I was tired of struggling with business ideas and spray techniques that I couldn't perfect (arms!). Joanna your spray techniques helped me SO much for the bridal party last night and I am quite positive everyone's arms look amazing today! Thank you for giving me a big boost of confidence and making me realize what I am worth and what my business is worth! You have no idea how much I value your opinions and suggestions. Thank you, thank you, thank you!! I really want to thank Joanna for taking so much time yesterday to train me. 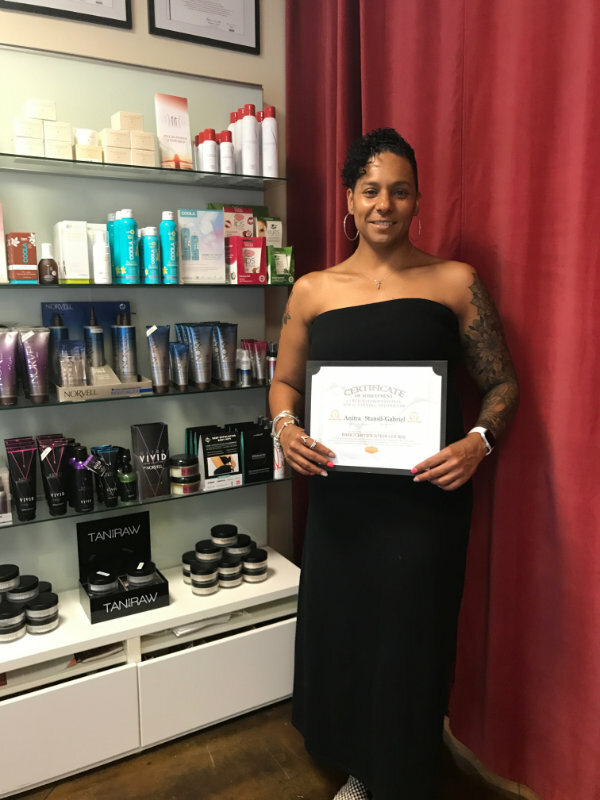 Even though I have been doing it for over a year, she to gave me so much information that I have been needing to get my business up and running at top notch! I was tired of struggling with business ideas and spray techniques that I couldn't perfect (arms!). 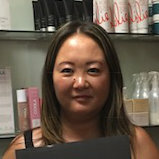 Joanna your spray techniques helped me SO much for the bridal party last night and I am quite positive everyone's arms look amazing today! Thank you for giving me a big boost of confidence and making me realize what I am worth and what my business is worth! You have no idea how much I value your opinions and suggestions. Thank you, thank you, thank you!! 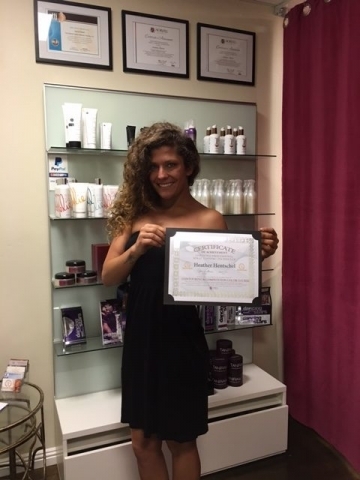 When I first decided to become certified as a spray tan technician, I wanted the best in training. I took my time to research every option available to me and Summer Sheen ticked all the boxes. When I first spoke to Joanna, I felt really good about the direction I was going. She has spent many years in the industry and had so much valuable information to give me. I love the Norvell product line which she introduced to me. It's the elite in tanning! Joanna not only trained me with the skills to be a great spray tan tech, she is so knowledgeable and a true entrepreneur. There are many details to know when you are starting a new business and it can be overwhelming but Joanna is so thorough. She never made me feel rushed and she was really patient. After my training, she made sure to follow up with me so I felt comfortable and she answered any questions I had and still gives me great advice and tips for success. I consider her a new awesome friend! Train with Joanna! You won't regret it! When I first decided to become certified as a spray tan technician, I wanted the best in training. I took my time to research every option available to me and Summer Sheen ticked all the boxes. When I first spoke to Joanna, I felt really good about the direction I was going. She has spent many years in the industry and had so much valuable information to give me. I love the Norvell product line which she introduced to me. It's the elite in tanning! 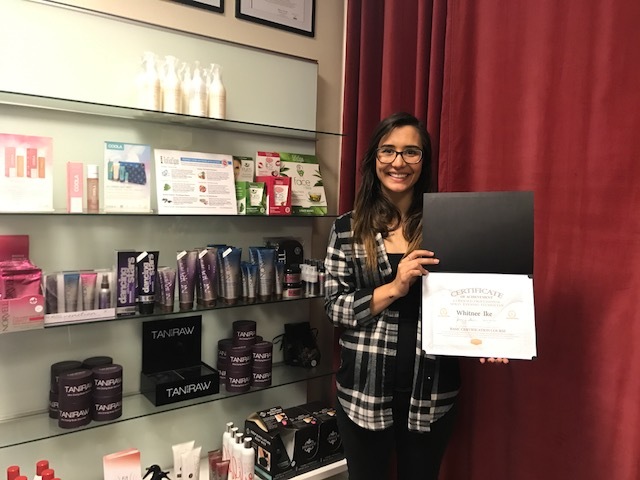 Joanna not only trained me with the skills to be a great spray tan tech, she is so knowledgeable and a true entrepreneur. There are many details to know when you are starting a new business and it can be overwhelming but Joanna is so thorough. She never made me feel rushed and she was really patient. After my training, she made sure to follow up with me so I felt comfortable and she answered any questions I had and still gives me great advice and tips for success. I consider her a new awesome friend! Train with Joanna! You won't regret it! Joanna offers one of the best training programs to become a certified trainer for spray tans!! I really wanted to start my own business in the tanning world as wasn't sure where I could start. I stumbled upon Joanna's website and got in touch with her ASAP! she was so helpful and very honest. She took the time to see why I wanted to get into the industry and welcomed me with open arms. She set me up with a hands on training session where we went step by step on how to become a successful tanning business owner. After taking my certification test I was immediately trained on how to spray tan clients the correct way. Thank you so much Joanna, if it wasn't for you I wouldn't have been able to start my own mobile tanning business!!! 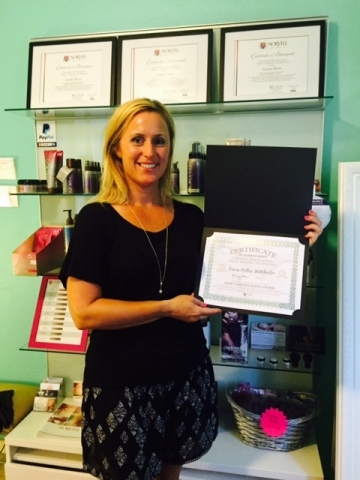 Joanna offers one of the best training programs to become a certified trainer for spray tans!! I really wanted to start my own business in the tanning world as wasn't sure where I could start. I stumbled upon Joanna's website and got in touch with her ASAP! she was so helpful and very honest. She took the time to see why I wanted to get into the industry and welcomed me with open arms. She set me up with a hands on training session where we went step by step on how to become a successful tanning business owner. After taking my certification test I was immediately trained on how to spray tan clients the correct way. 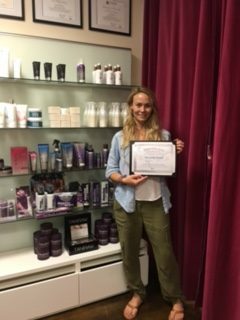 Thank you so much Joanna, if it wasn't for you I wouldn't have been able to start my own mobile tanning business!!! Joanna is amazing! 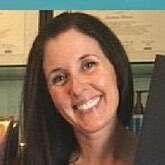 I am an esthetician & wanted to add spray tanning to my menu. I asked around on FB in esthetician groups to find a great company & how i can get trained. Someone recommend Joanna and i messaged her & the rest is history! She is awesome, one of the bonus items that she offers is that she came to me! She's in SD and I'm in Los Angeles (San Fernando Valley) its just a small fee on top of the course fee; which to me was totally worth it since she was able to come on one of my days off. She was very thorough in teaching the course details. It's a full day of training 9-6pm. I was able to have 5 different models & used a different solution on each one so i was able to see the difference. And the best part I get a certification & she's a distributor so i can keep get ongoing discounts on products. And a plus, she's always available via text/phone & there is private Facebook group. If you're thinking of using Joanna for training, don't wait! give her a call & tell her Mary sent you. 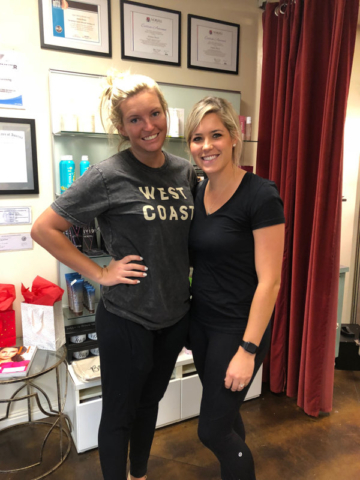 I have had two spray tans from Joanna, not only are they flawless but she is so sweet and makes you feel so comfortable. I also have taken a tanning course from her. 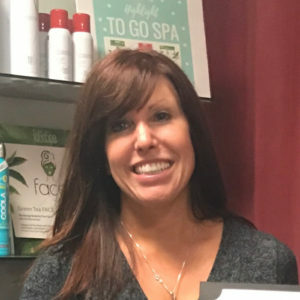 And instead of considering me competition she took me under her wing to make sure I was successful with my tanning business and knowledgeable in what I was doing. Last year, I took a tanning class in pb and my instructor was just money hungry and took advantage of the situation and in the end was never there for me like she said she'd be. BUT Joanna saved me when I found her. Open arms! Nothing better than girl who supports another girl. 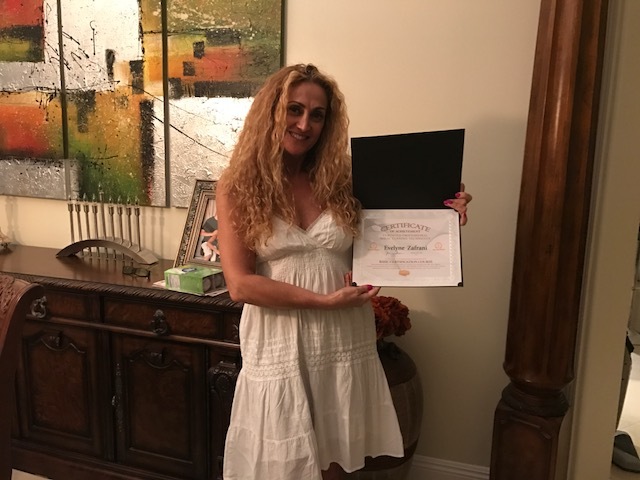 Thank you Joanna for being an amazing business women! Joanna is Awesome! Not only does she give an amazing spray tan! She is well informed and shares her knowledge in a way you can totally understand it. 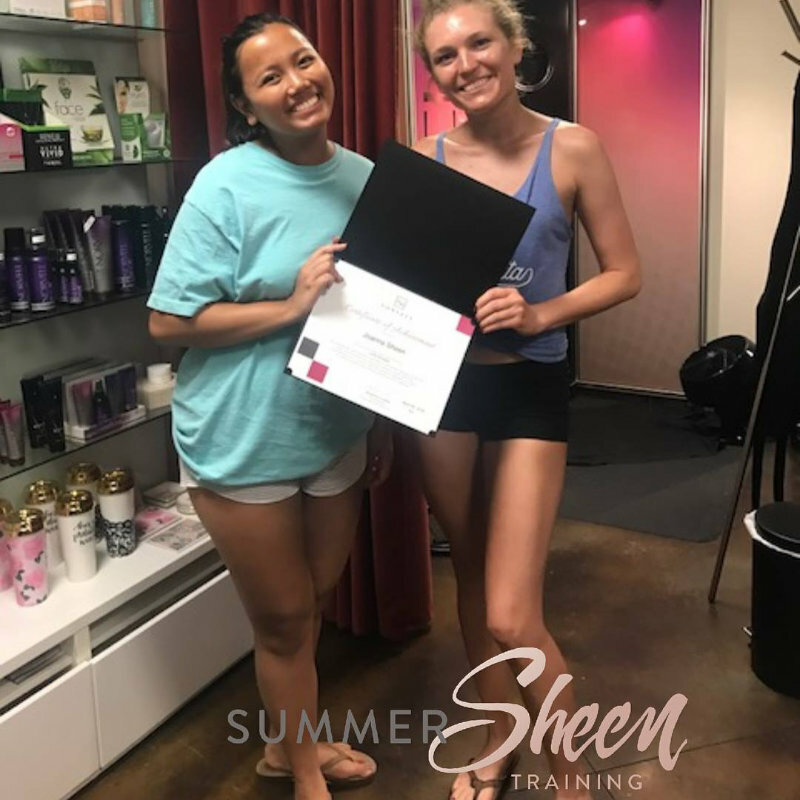 I completed the tanning certification through Summer Sheen, and Joanna was so informative... she really takes time to explain everything and walks you through each step of the process. I highly recommend her as an instructor and also as a technician! She loves what she does and it shows! Joanna is Awesome! Not only does she give an amazing spray tan! She is well informed and shares her knowledge in a way you can totally understand it. 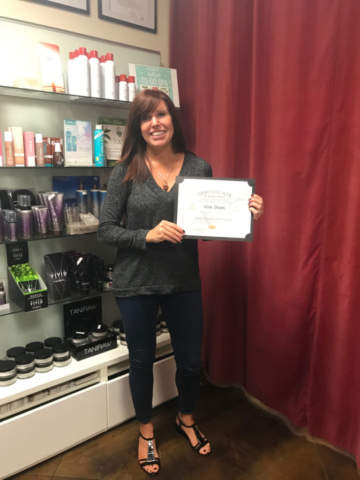 I completed the tanning certification through Summer Sheen, and Joanna was so informative... she really takes time to explain everything and walks you through each step of the process. I highly recommend her as an instructor and also as a technician! She loves what she does and it shows! 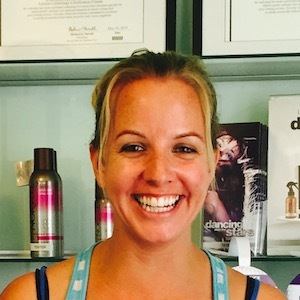 Joanna is the owner at Summer Sheen and will make you look and feel your absolute best!!! 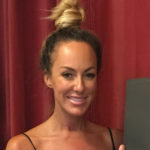 She cares deeply about each person walking through her doors and will do what it takes to make your spray tan as efficient, effortless and as comfortable as possible...Whether looking for a hint of shimmer or a bolder decadent bronze, your color will be thoughtfully created to blend beautifully with your skin tone! It's amazing what a quick tan can do for a subtle confidence boost! Summer Sheen also offers a course on learning the spray tan side of the business that I highly recommend: It is a 1 day course if you want to start a business or even to learn as a hobby. The level of training and support will provide valuable information and skills to pursue your passion! 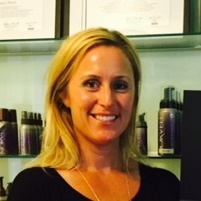 Joanna is the owner at Summer Sheen and will make you look and feel your absolute best!!! 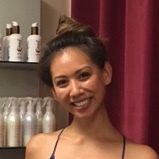 She cares deeply about each person walking through her doors and will do what it takes to make your spray tan as efficient, effortless and as comfortable as possible...Whether looking for a hint of shimmer or a bolder decadent bronze, your color will be thoughtfully created to blend beautifully with your skin tone! I love my sun kissed glow from head to toe! 🙂 It's amazing what a quick tan can do for a subtle confidence boost! 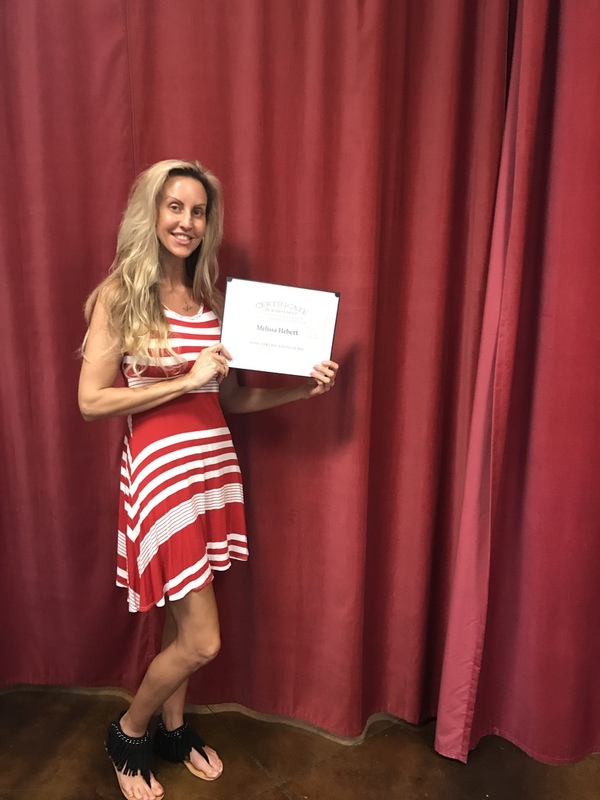 Summer Sheen also offers a course on learning the spray tan side of the business that I highly recommend: It is a 1 day course if you want to start a business or even to learn as a hobby. The level of training and support will provide valuable information and skills to pursue your passion! 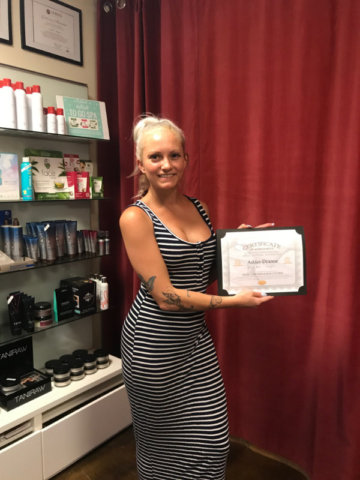 I've had a training with Joanna for airbrush spray tanning and let me tell you, it was the best investment for my business. Not only did she spent the whole day with me training, answering all my questions but she also let me practice on few girls so I can remember the technique. I've learned so much from her in one day that I'm super confident in adding spray tanning to my beauty business. I've had a training with Joanna for airbrush spray tanning and let me tell you, it was the best investment for my business. Not only did she spent the whole day with me training, answering all my questions but she also let me practice on few girls so I can remember the technique. I've learned so much from her in one day that I'm super confident in adding spray tanning to my beauty business. 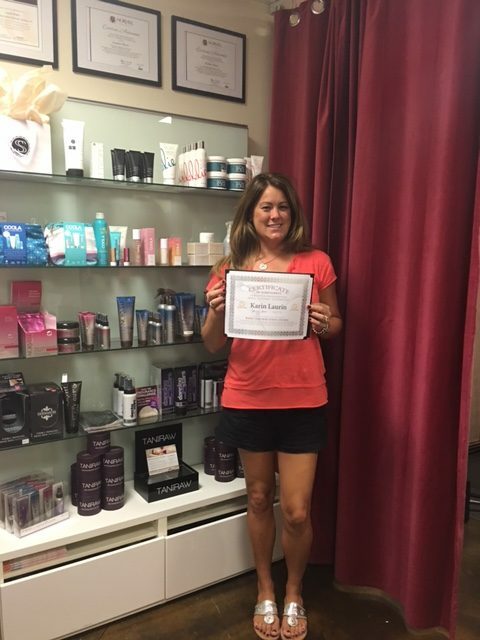 Joanna is an amazing spray tan trainer and continues to be a great business resource. She is very professional, provides solid business advice and resources. She continues to be my go-to spray tan business consultant! Joanna is the best! 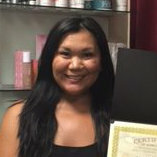 I just completed my Spray Tanning certification and She was a gem! So helpful, and knowledgeable. I really feel prepared to start my business. And.... She gave me a fantastic tan after my training was done! I highly recommend using her! Joanna is AMAZING at what she does, and nothing less than a perfectionist with the services she offers. 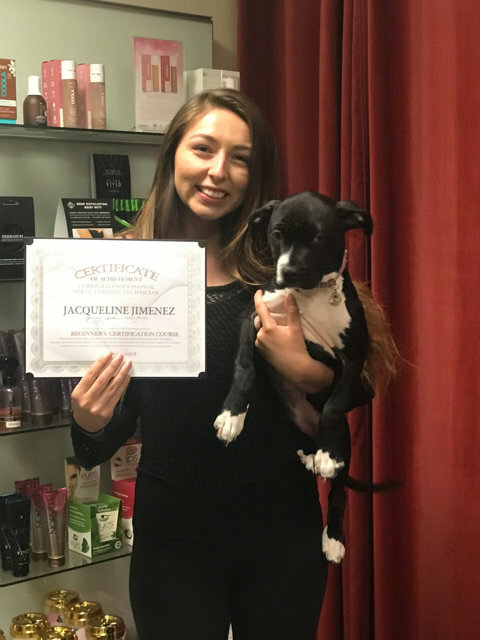 I initially started out as a client of hers when I first moved to San Diego, and as a fellow beauty professional I was so impressed with her technique and attention to detail that I knew I HAD to take her class that she offers! Whether you're looking to get a PERFECT spray tan, or you're wanting to expand your career with a spray tan certification in the best and most detailed way possible, you will ever be disappointed in any of the services (or products) Joanna offers! Joanna is AMAZING at what she does, and nothing less than a perfectionist with the services she offers. 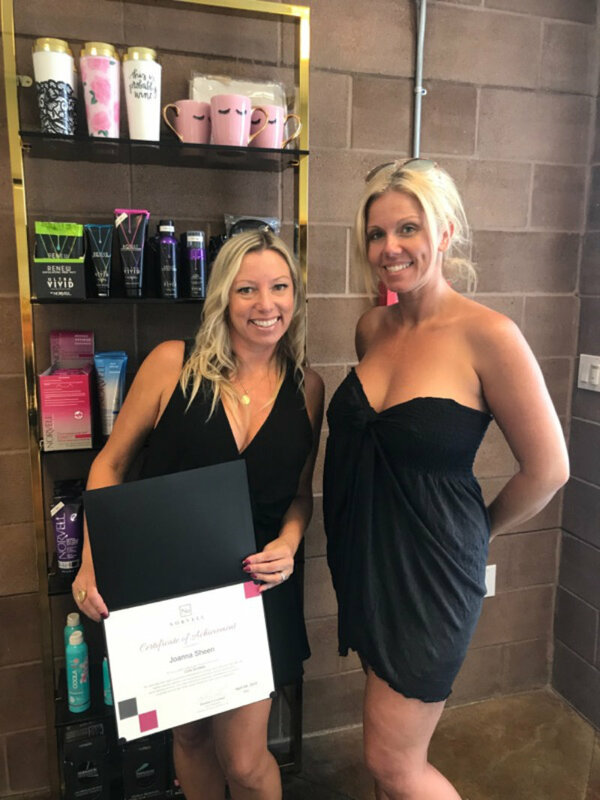 I initially started out as a client of hers when I first moved to San Diego, and as a fellow beauty professional I was so impressed with her technique and attention to detail that I knew I HAD to take her class that she offers!Whether you're looking to get a PERFECT spray tan, or you're wanting to expand your career with a spray tan certification in the best and most detailed way possible, you will ever be disappointed in any of the services (or products) Joanna offers! 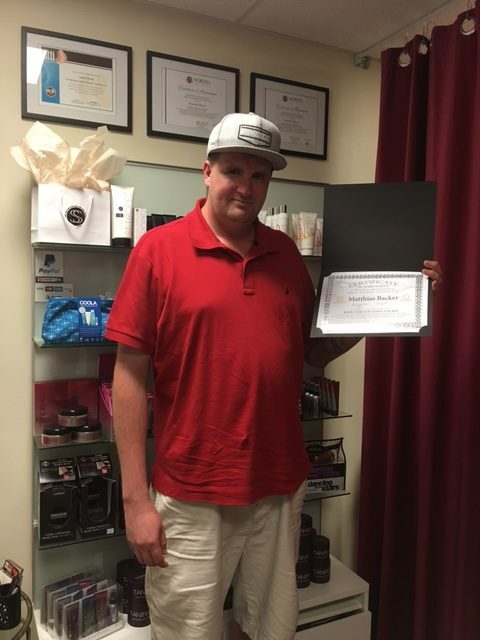 A couple of weeks ago I went thru the training and became certified in Spray tanning from Joanna. I wanted to start my own Spray Tan business and with extensive research I found Joanna and Summer Sheen tanning. I live in Michigan so I flew out to beautiful San Diego! 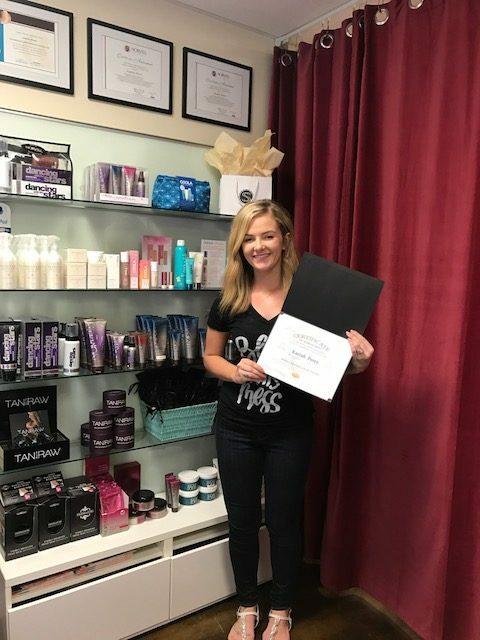 The training is very professional and not only teaches you the business end but she also teaches you about product, equipment and the most important TECHNIQUE. 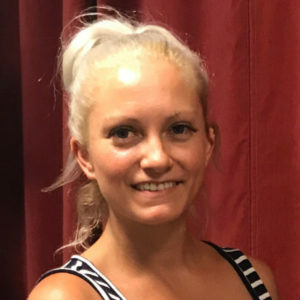 I am new to this business but I am very confident that with the training I received from Joanna, that I will be up and running within a couple of weeks. Thank you again Joanna! You are the best!! 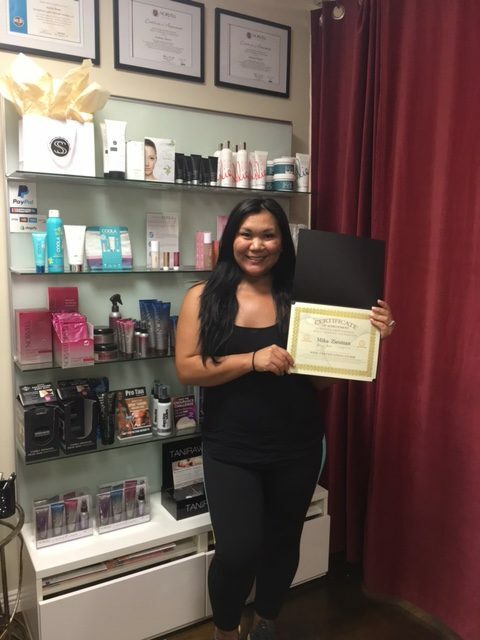 A couple of weeks ago I went thru the training and became certified in Spray tanning from Joanna. I wanted to start my own Spray Tan business and with extensive research I found Joanna and Summer Sheen tanning. 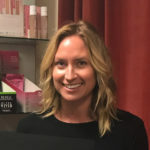 I live in Michigan so I flew out to beautiful San Diego!The training is very professional and not only teaches you the business end but she also teaches you about product, equipment and the most important TECHNIQUE. I am new to this business but I am very confident that with the training I received from Joanna, that I will be up and running within a couple of weeks. Thank you again Joanna! You are the best!! I had an excellent experience with Summer Sheen! I was looking to purchase spray tanning equipment/products and I found Summer Sheen. Her studio is a bit far from my house, however, I'm grateful that I decided to make the drive! Aside from purchasing my machine from Joanna I attended a certification course that she offered. Joanna made the class so enjoyable and I learned a lot of valuable information. The class was very in depth and fully hands on. I would recommend this certification course to anyone who is wanting to get into the industry. Summer Sheen offers a wonderful product line and I will continue to purchase my products here. Thanks again Joanna! Joanna is amazing. 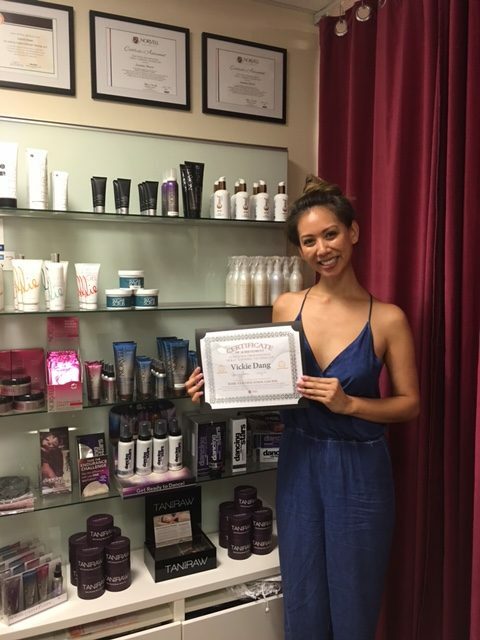 I took the spray tanning certification course and got a spray tan after. She is very knowledgeable and helpful. Joanna has the best technique and products. I highly recommend her. Such a great experience! 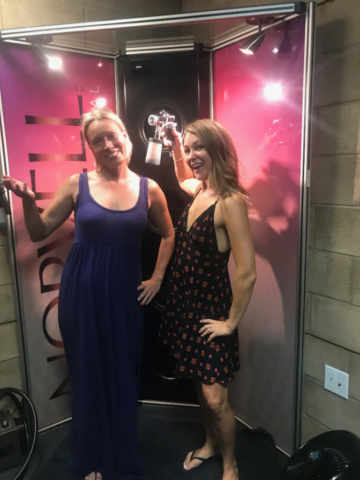 I took Joanna's spray tanning course and it was an all-around empowering, informational, and "set-you-up-for-success" kind of learning experiences. She is not only knowledgeable, but so personable; she made me feel confident and comfortable, which made it the perfect environment to learn. 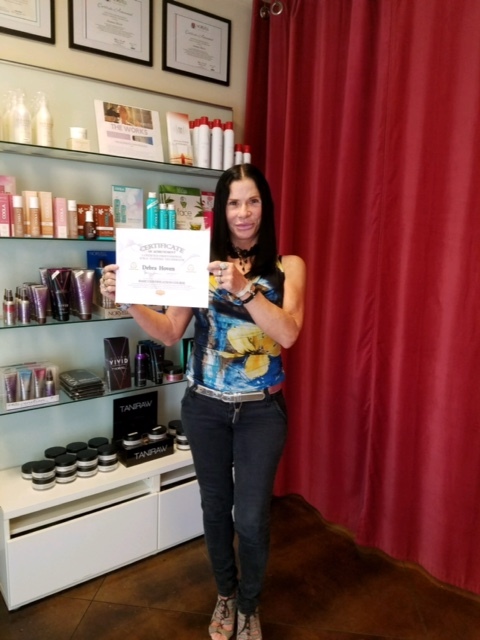 I am so excited to dive into this industry and ever so thankful to have such a great trainer and mentor as Joanna Sheen. I recommend this course to anyone looking to take control of their future and learn A LOT! Joanna provided me a Sunless tanning training through Norvell Academy where I received my Sunless tanning certification. She was thorough guiding me through coursework and reading material, and was able to answer any questions I had and still may have. She was extremely hands on and helpful while I spray tanned about 5 models. She also helped me buy my equipment and made sure I had everything I needed and also asked to have added. Thanks Joanna and I hope to continue learning from you and even working with you one of these days! Joanna is a true professional! I went to her studio where I watched and applied what I learned from her in the same day. She's fast and very thorough while teaching at the same time. She makes every one feel at ease. If you're looking for a spray tan or a Norvell instructor look no further!!!! 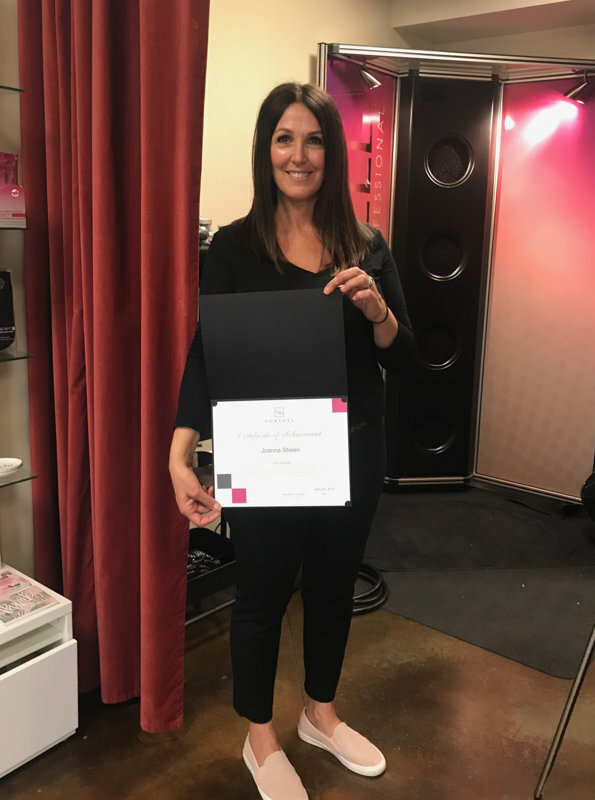 The industry leader in handheld spray tanning education, Norvell University, launches a breakthrough new training program, Norvell University Academy. 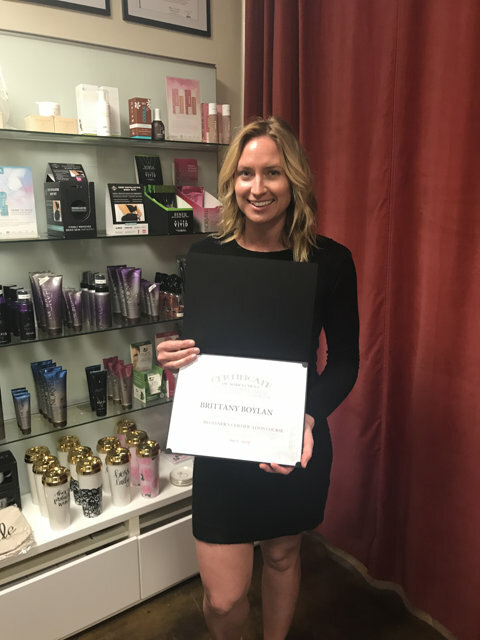 1-on-1, hands-on, local, on-demand skills training for beginner and experienced spray tan artists. 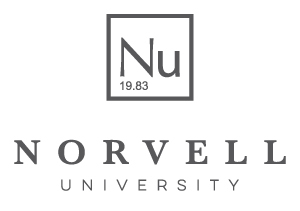 Nu Academy sites are located in the salons of select Norvell University Ambassadors/Specialists across the country. Sessions are open to individuals who wish to get their first, initial training as a spray tan artist, as well as, experienced handheld artists who wish to enhance their skills. What training, topics, and skills will be covered during the Academy session? The CORE session covers every detail of a typical spray tan session from preparation for the session to your final instruction to the customer. *Please be sure to bring a model to this session, to ensure you are learning proper techniques. The MASTERS program includes an assessment of the artist/technician current methods and processes as well as skill enhancement training. Each topic will begin with the trainee explaining or demonstrating to the Ambassador/Specialist how they currently manage that topic. The instructor will Grade each topic and then discuss or demonstrate methods to enhance that skill. Growing up in the Florida Keys the word “tan” was always a part of my vocabulary, whether it was getting one, keeping one or fixing one! My first custom spray tan was in 2009 for an NPC show that I competed in. My tan was crazy dark and totally unnatural, but I thought “what a cool concept, this is something I would like to do”. I took about a year of researching the industry, getting as much training as I could, trying all kinds of products and seeing what worked and what didn’t. With research in hand, I chose Norvell and never looked back after opening Summer Sheen in 2011. Since then I have transitioned from the East Coast to my new home on the West Coast in San Diego, CA. Today I am fully entrenched in the spray tanning business, providing more golden glows than I ever could have imagined! In 2017, Summer Sheen won 1st place in San Diego’s Best Tanning category! 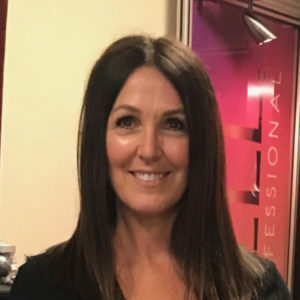 In addition to owning and running Summer Sheen, I’m also the founder of Summer Sheen Pro, a distribution company for Sunless Pro’s and soon to be pro’s. My most recent achievement was being named a Norvell Specialist, which is a huge honor! 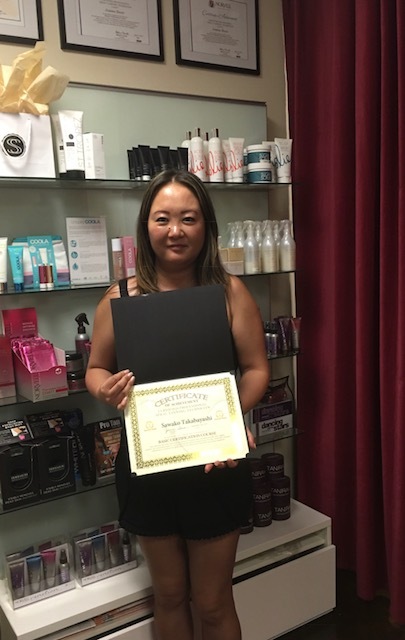 Summer Sheen opened in 2011 and is a Norvell exclusive sunless salon. We are spray tanning experts and spray tanning is ALL we do. No hair. No nails. No waxing. No facials. Just spray tans. By focusing on only one service and mastering it, we have become what I believe to be one of the best spray tanning studios in Southern California. I am proud to have the client reviews and education to back up that stance. The science behind DHA + How To Avoid "Orange"